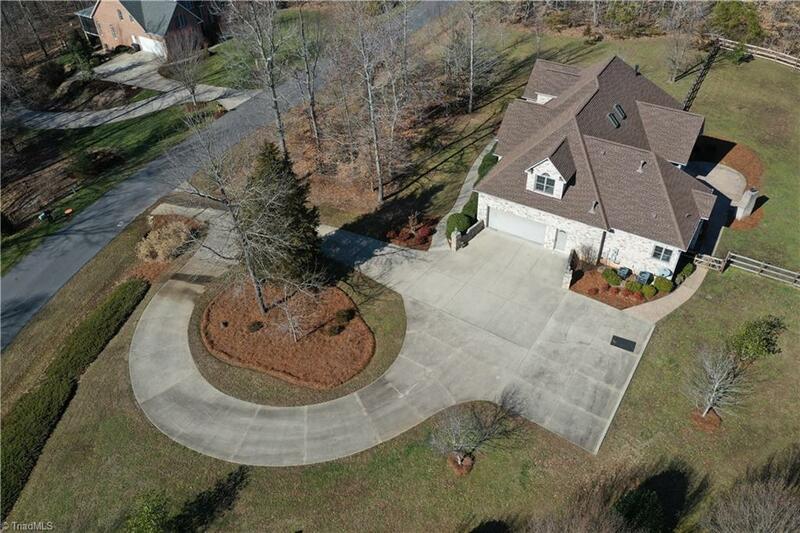 Gorgeous Corner Lot on over 3.7 Acres. Rare Find w/Master on Main w/2 additional bdrms on Main. Over $35,000 of recent upgrades. Tons of natural light!! Beautiful Sunroom, Amazing outdoor space w/ fireplace, stamped stone patio, & plenty of space for entertaining. Beautiful custom cabinetry in Kitchen, generous pantry. Spacious Open Flow. Water softening system, spot free rinse for car buffs in garage & keyless side entrance. Northwest Schools. Additional .87 acres is deeded with this property.